Think of the millions of people who fly around the world every day. Once they have made it through security and settled into the lounge near their gate, they often have quite a bit of time at their disposal. So what do they do next? Shop! These travelers represent a unique market comprised of a variety of demographics, spanning all ages, genders, ethnicities and religions. This presents a challenge for retailers inside airports: how do you determine which customers to target when the world walks by your store every day? There’s one industry, however, claiming this market as its own. If you find yourself in any international terminal, you’re likely to see storefronts of some of the biggest names in luxury retail, including Hermès, Chanel, Burberry, Gucci and Valentino. These high-end retailers are betting that their products will drive jet setters from around the world into their store. And it might be working: about 6 percent of luxury shopping now takes place at airports, up from 4 percent last year, and the global travel retail market is estimated to grow from $63.5 billion in 2014 to $85 billion by 2020. With increased security to enter airports, many travelers are arriving much earlier for flights and are looking for ways to pass the time. And the airports have responded. Operators and retailers across the world are revamping terminals at a time when more people are staying longer in the lounges. Airports are beginning to cater to these travelers by providing them with an airport experience they’ll never forget. 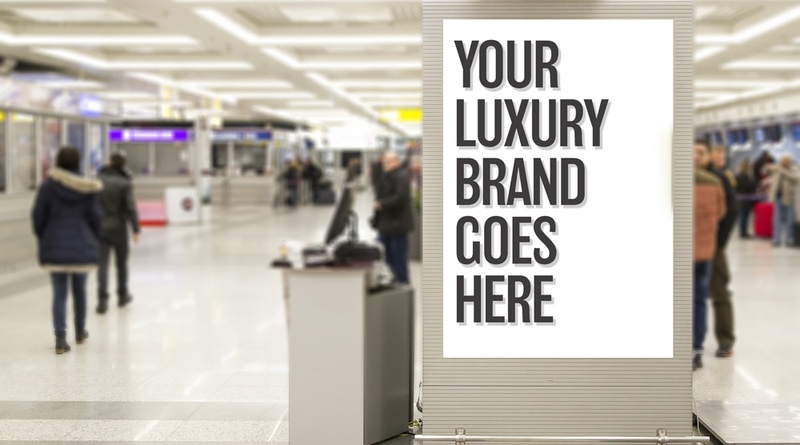 Luxury brands are capitalizing on this opportunity, particularly in international airports such as London Heathrow and Singapore’s Changi Airport, which are known to draw a particularly affluent and savvy crowd. Hong Kong-based DFS Group, a travel retailer of luxury goods and a division of LVMH, has outlets in 17 major international airports, including Changi, which sees a lot of big spenders shuffle in and out of its terminals. In some cases, passengers will hand over more than $100,000 for a bottle of their favorite top-shelf alcohol before boarding their flight. Late last year DFS opened its new concept stores in Changi – complete with cigar and tobacco rooms, complimentary tastings and even virtual reality installations – with these customers in mind. Other airports seeing an increasing number of luxury retailers move in include Sydney International Airport, which now boasts as many luxury brands as Manhattan’s Fifth Avenue, and Rome Fiumicino Airport, which features 25 major Italian fashion brands as part of its ‘Made in Italy’ initiative. Overall, the Asia-Pacific region has the highest share of the travel retail market at 38.6%, and the highest growth rate at 9.9% in 2014, according to Generation Research. Europe has the second-largest share at 32.3%, but the slowest growth at 1.8% in 2014. This shift to a more luxurious environment and memorable shopping experience presents a big advantage for airport retailers: a captive audience that doesn’t mind spending more than a little bit of money. It’s no secret that the collective retail industry has seen better days, and luxury retail is not exempt from the decline in sales and earnings due to the prowess of eCommerce and other factors that threaten to rock the retail boat. So could travel retail be the luxury industry’s saving grace? With so much potential, how can retailers make the sale before passengers board their flight or depart their arrival terminal? Gain an understanding of the regional market: Based on where the airport is located - and the key destinations that those passing through are heading from and to - retailers must determine the goods and products that arriving passengers might be interested in purchasing. Overall, the top product categories in travel retail are beauty (30%), wine and spirits (16.4%), and fashion and accessories (14.6%), according to Generation Research’s 2014 report. But this can vary significantly by airport. You may not want to invest in a large stock of sunglasses if you’re in a geographical area that rarely sees any sunlight - unless 25% of your destination flights end up in Hawaii or the Bahamas. Remember that convenience is key: Time and convenience are the biggest factors for consumers in airports. Aside from catering to the limited time that these shoppers have, it’s also important to keep in mind that passengers often don’t have much room in their luggage, so retailers should consider offering delivery services and shipping options. These services and amenities could play a crucial role in a consumer’s purchase decision process, as well as a retailer’s ability to close the sale. As retailers like Coach, Gucci and Michael Kors have proven, the travel retail market offers a clear opportunity for luxury. But while it’s a unique market, they must remember that the same golden rule still applies: know your customer. Who is the customer and what does he or she want? Is the customer price-sensitive, and on which products? How can we provide them with a positive shopping experience? These are all important things that retailers must consider, whether their store location is in a shopping mall or an airport terminal.